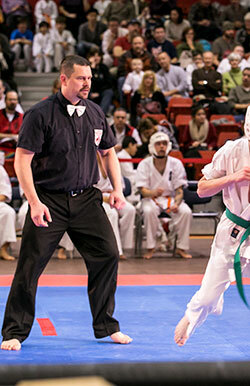 Officials in the 2019 Calgary Cup Karate Championships are required to have a valid IKOK-C or IKO Officials Designation. As such, officials are trained and are familiar with all rules and regulations laid out by the IKOK-C officiating program. 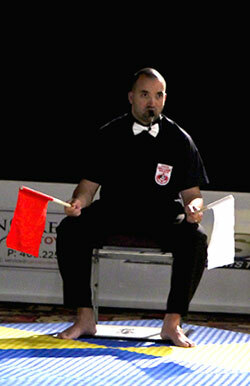 Officials follow the dress code of IKOK-C/IKO. All tournament volunteers and marshals are identified by official tournament wear (Red vest). 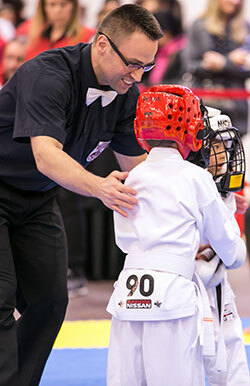 For IKOK-C and IKO Officials officiating at the 2019 Calgary Cup Karate Championships please register as an official under the registration tab, or by clicking the "Official Registration Form" below. 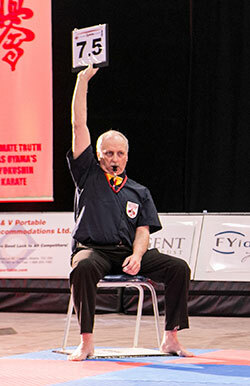 You must also contact Shihan Stuart Corrigal via E-mail letting him know you are registering to officiate. An IKOK-C officials clinic will be held on Friday March 15, 2019. Those wishing to attend the clinic must fill out and bring the Application form below.